Is there a way to burn more calories apart from exercise? Wondering if routine activities ever contribute to burning calories? Feel assured that it does. Pacing around while talking on the phone, walking down the stairs or climbing up the stairs, walking to the car, washing dishes by hand, doing yard work, playing with kids, walking up to your colleague's desk instead of sending an e-mail, carrying groceries ignoring cart – increase your NEAT. So, it's just not sport or formal exercises that expend a lot of calories. Many are unaware of the power of utilizing NEAT. There is a bit of chemistry in understanding and utilizing NEAT. NEAT stands for non-exercise activity thermogenesis (calorie burning capacity). According to NEAT, but for the time when you are seated in a chair or a couch, sleeping, or engaged in a formal exercise session or sports like activity- NEAT is at work. NEAT is the energy used for every physical activity throughout the day like dancing, going to work or school, walking in the mall, swimming etc. Calories are expended when you walk, shop, chew, stand, pace, talk, fidget or simply change postures. These are spontaneous everyday activities. Simply put, NEAT involves getting more exercise without actually going to the gym or engaging in a formal exercise regimen. NEAT does not include the calories burnt during intense exercise such as running, swimming or aerobics. NEAT plays a critical role in maintaining body weight. The basis of NEAT is the body doesn't classify an activity as an exercise or otherwise. Research by Dr. James Levine, the proposer of NEAT suggests that NEAT burns an average of 330 calories per day in healthy individuals and up to nearly 700 calories per day in some people. NEAT has a powerful effect on how many calories we burn and how much we ultimately lose. Calories out = Energy used by the body by burning calories. Calories out is more accurately termed as total energy expenditure or TEE which has four components. There is a co-relation between NEAT and eating well as NEAT increases with overfeeding and decreases with underfeeding. This explains that spontaneous physical activity is not spontaneous at all but carefully programmed. NEAT is for all and works for all. 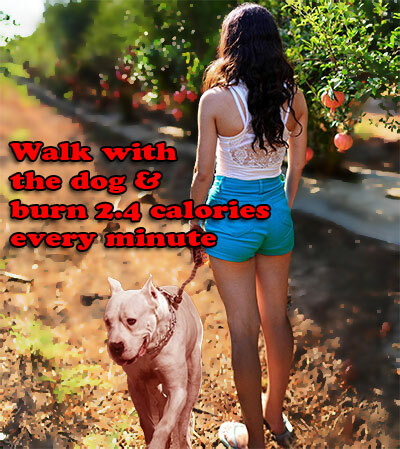 Studies have shown that NEAT varies greatly from person to person and that those who engage in the most NEAT burn far more calories during the day (and are consequently leaner) than those who are mostly sedentary. It is most appropriate for those who find losing weight a challenge. They can, besides doing formal exercises adjust NEAT factor. It does actually offer significantly higher rewards. Dr. James A Levine is a world authority and USA's specialist on obesity. Decades of research dedicated to obesity by Dr. James and his team point out that low NEAT and sedentary lifestyles are major causes of obesity, diabetes, breast cancer, and two dozen other chronic disease and conditions. Health professionals define overweight as a body-mass index (BMI) between 25.0 and 29.9, and obesity as a BMI of 30 or higher. (BMI is a measure of weight that takes height into consideration). Calculate BMI here. Use the BMI interpretation table. Research indicates that obese people (people with sedentary life-style with similar jobs selected) sat an average of two-and-a-half hours more per day than lean people. Also, lean people stood or walked more than two hours longer each day than obese people. Low levels of physical activity are associated with obesity. And, caloric expenditure by physical activity can vary by 3-fold from the extremely active to those who are sedentary. Reconfirm your BMI calculation with a visit to a dietician. Talk about your food intake and caloric consumption. Discuss to estimate how many calories you ought to burn to lose weight. Remember, it would be more calories than you consume. Only then the body loses weight. Determine diet changes. There is no perfect formula. But, make up your mind to increase your activity level. NEAT could burn up to 1000 calories per day. The more conscious non exercise based activity you do in a day; the more calories you will burn. Make the most of NEAT opportunities to move than you already do in a day. Work at a standing desk if possible. Schedule a walking meeting if possible. If you need to compulsorily sit and work, don't sit still. Move around the chair a lot. Choose the farthest parking slot to create an opportunity to walk. Allot 10 minutes of lunch break to walk. Either eat then walk or walk first and then eat. Finish dinner and spend the next 30 minutes walking-around. Don't slouch on the living room couch. Pace around while you talk on the phone. Opt to stand and talk instead of being seated when talking across the table. The relation is that people with greatest increase in NEAT exhibit the smallest fat gain and vice versa. Even if a person overeats and activates NEAT, excess energy is dissipated to preserve leanness. On the other hand failure to activate NEAT may result in instant fat gain. High NEAT response = stay thin. The two classifications are NEAT associated with occupation and NEAT associated with leisure or otherwise work NEAT and leisure NEAT. Though NEAT activities are the smallest daily contributor to energy expenditure, NEAT has been found to be an important gauge for weight loss or weight gain. Study on NEAT indicates fidgeting-like activities increased energy expenditure when compared with relevant motionless state. Here are many ways to increase NEAT. Cook more often. Chop vegetables, move cookware. Arrange clothes in the wardrobe. At parties drink standing up. Don't shy to tap feet on the dance floor. Track weekly activity in a chart. On the whole, sit less. Or simply put - you ought to be in constant motion. It could be arm and leg swinging, swiveling or moving the chair around, twirling pens in the hand, tapping feet/or fingers, swaying to/fro or side/side, pacing while thinking about something or talking to someone etc. Non-exercise physical activity is one of the behaviors that are associated with thinner people. They just move more! Over time the additional movements expend more calories. It is not just the gym that is your calorie burning station. Don't fail to take into account the extra calories lost during daily non-exercise activity. Besides burning the calories, it offers some degree of protection from metabolic syndrome and raised triglycerides. When the body is not moving around, insulin sensitivity drops and the enzymes responsible with fats in the body are adversely affected thus increasing risk of heart disease and Type 2 diabetes. A sedentary lifestyle makes the body prone to postural problems, muscular imbalances, and decrease in overall flexibility. First Published Date: 22 Feb 2012 Last modified Date: April 18 2019 This page may have been updated recently as new information is available or the content may have been edited for better readability.